The PhD degree in Art and Architectural History requires 42 graded credits. 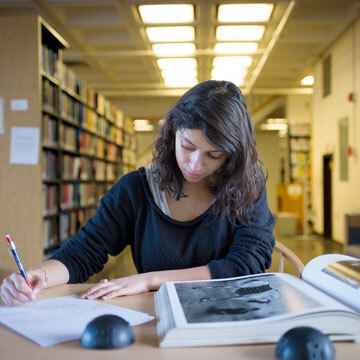 Students who are admitted with an MA in art or architectural history may transfer 12 graded credits. Graded credits are typically completed through a combination of coursework and supervised research with the student's PhD advisor. Students are encouraged to take a wide range of Art and Architectural History PhD courses (ARAH in the course catalogue), and they may also take graduate courses in other departments that contribute to their PhD thesis formation. All students are expected to be ABD by the end of their third year of study. Reading knowledge of at least two foreign languages is required. These languages should be appropriate to the dissertation field and determined in consultation with the students' PhD advisor. Language examinations are conducted in the department at the start of each semester. Students will undertake a PhD examination prepared by three faculty members in their area of study. Exams should demonstrate the student's mastery of foundational primary sources, historiographical issues, and scholarship broadly related to the dissertation. The PhD examination includes both written and oral components. In the midst of advancing their research and writing, usually within a year of the prospectus being approved, each student is asked to give a forty-minute talk based on the dissertation to an audience of faculty and graduate students. The opportunity to deliver a dissertation presentation will be offered once each semester, on a specific date established and publicized in advance. Students should determine, in consultation with their advisor, the appropriate semester in which to present their dissertation work. A typical presentation begins with a concise outline of the project as a whole, followed by an illustrative excerpt taken from a single chapter. The presentation concludes with a question and answer period. Neither an examination nor a defense, this is an occasion for students to share their scholarship in a formal venue, to learn how to engage with historians of art and architecture from different areas, and to practice the kind of presentation usually demanded by a job talk.